Here are three sweeping, Romantic works by another of that remarkable group of Scandinavian symphonists who have kept the Romantic spirit in music alive and growing into the present day. 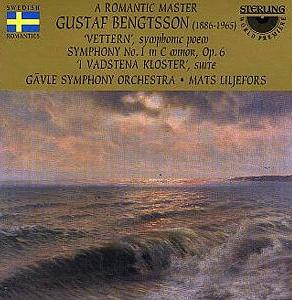 Vettern is a tone-painting of the lake near which Bengtssohn lived most of his life, its surging flow depicting the movement of great waters, vivid and extrovert, like the Sibelius of the First Symphony. Bengtsson's own first symphony, here receiving its world première recording, is very much the work of an enthusiastic young man, albeit one with a precociously developed sense of orchestration and structure.